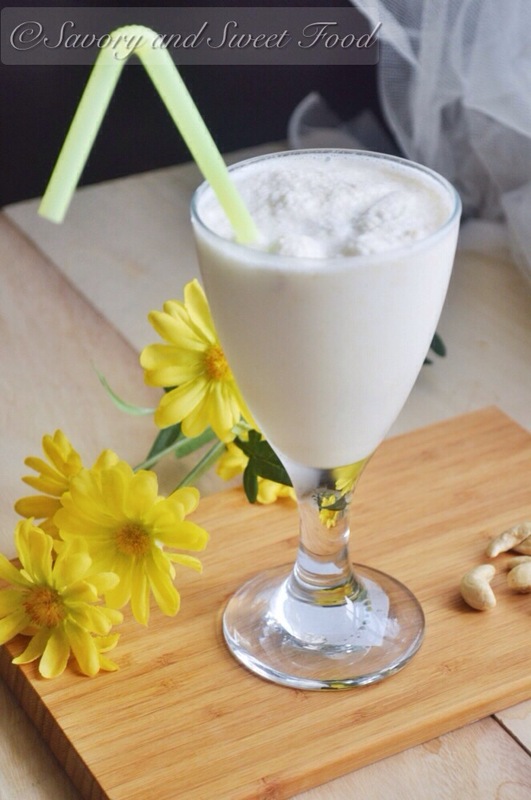 This cashew milkshake is very verrry thick, creamy and so luxurious. It doesn’t have anything impressive about its looks, but it sure will impress you with its rich, creamy consistency. There is this very small juice centre in Kannur, Kerala named Calicut juice. It was from there that i had my first cashew shake. I was there in India for about a month and i think i had a glass of it almost everyday. Ok! maybe every alternate days. I was soo addicted to it. It is a small shop and so they blend up the milkshakes in front of us. And with my eagle eyes i saw that they are just mixing cashew nuts, sugar and frozen milk. Yes frozen milk! Thats how they get that thick milk shake, which i loove. 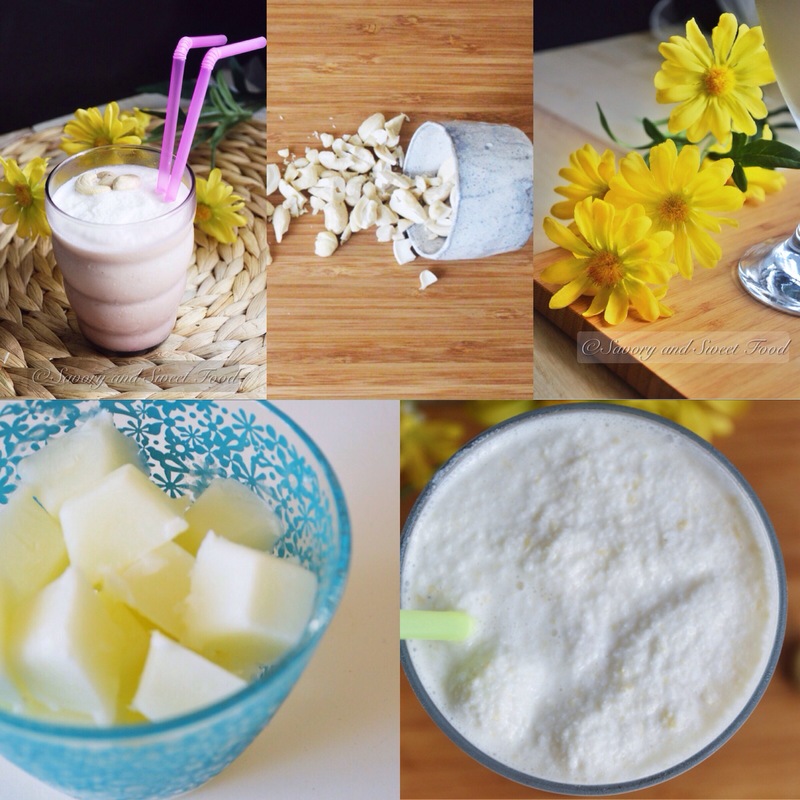 Maybe most of you have already tried making milkshakes with frozen milk, but for me it was the first time try. Me and my husband loved it, sluurrrrp! :D. Try it, you will like it too. 1. 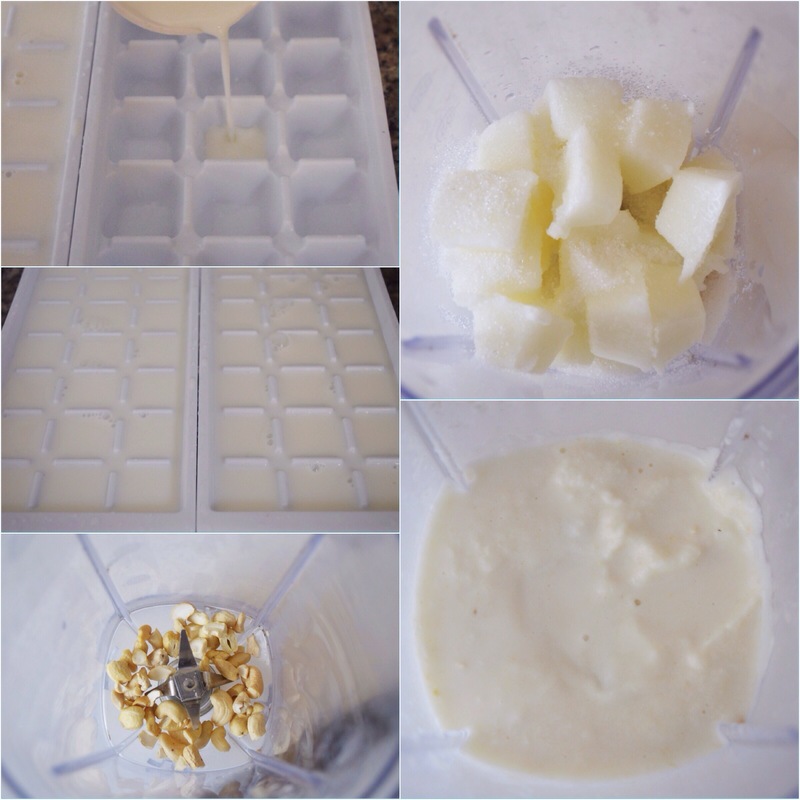 Pour the milk into ice trays and freeze it. 2. 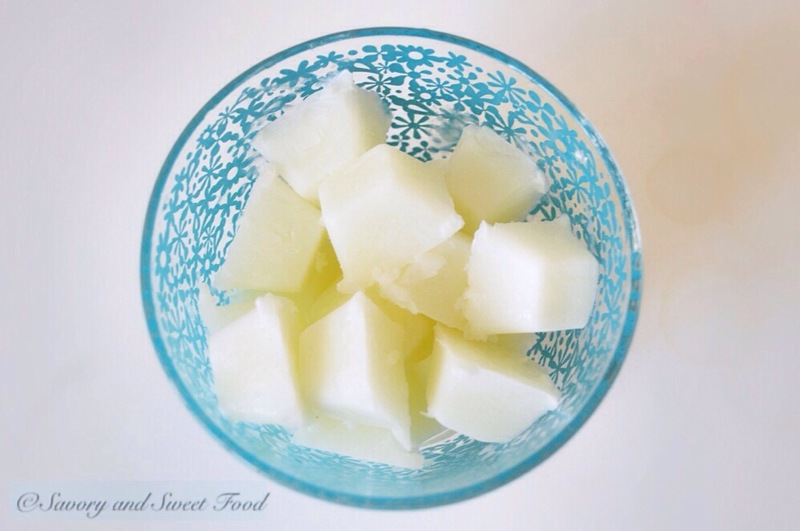 Take out the milk ice cubes from the tray and let it sit out for about 5-10 minutes. 3. Add all the ingredients into the blender and blend well. This may take about 3-5 minutes depending upon the capacity of your blender. 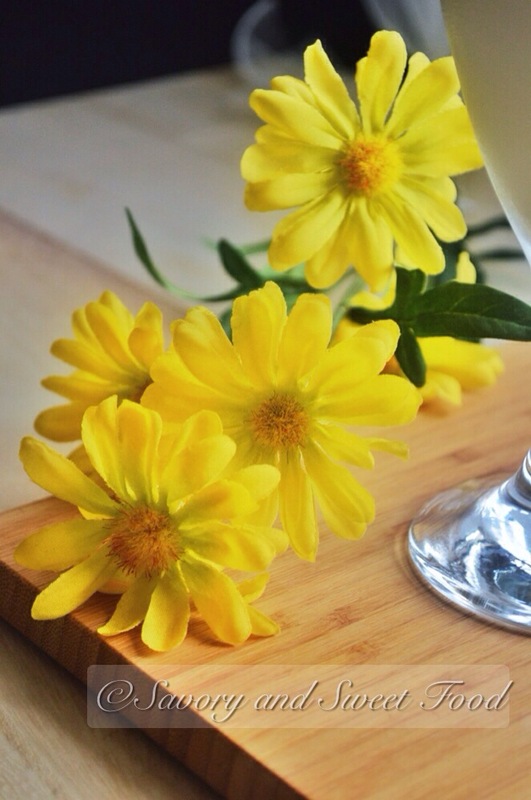 Pour the milk into ice trays and freeze it. Take out the milk ice cubes from the tray and let it sit out for about 5-10 minutes. 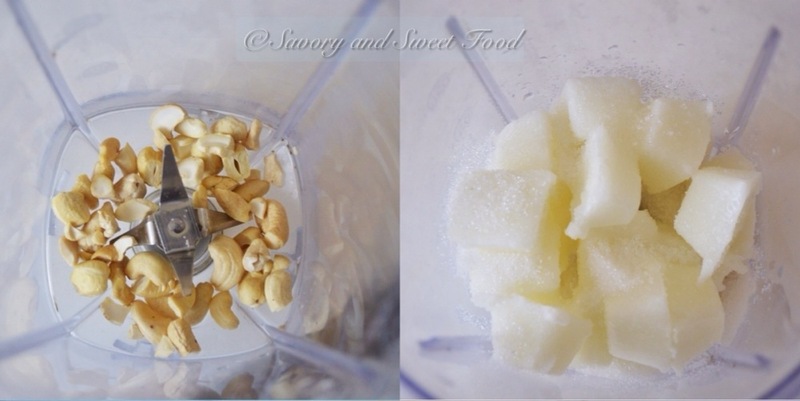 Add all the ingredients into the blender and blend well. This may take about 3-5 minutes depending upon the capacity of your blender. 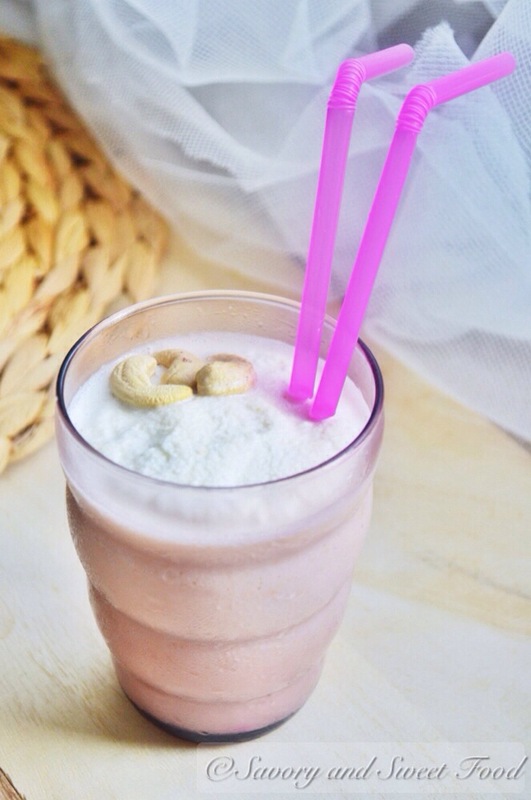 Wow cashew milkshake, unique and delicious looking. Thanks for sharing! Awesome! Frozen milk? That’s so smart! I’ve not tried that… I’ve tried frozen banana which I loved. What a gd idea! Yummy! 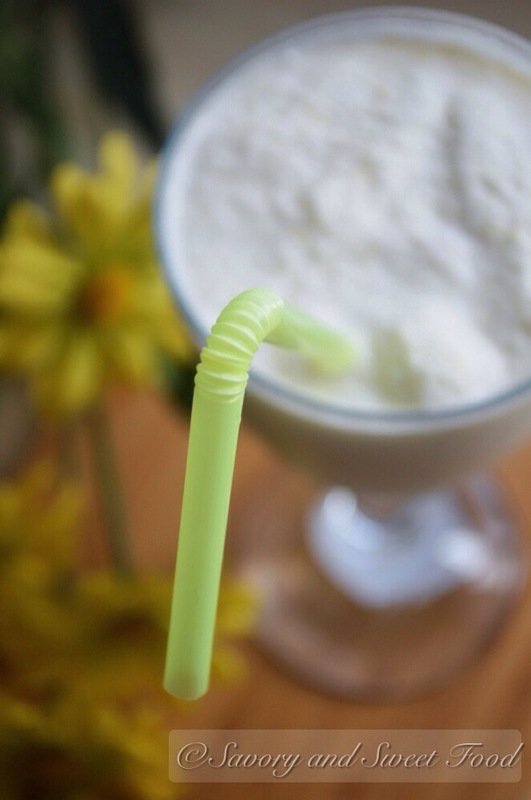 This milkshake looks refreshing and super healthy! 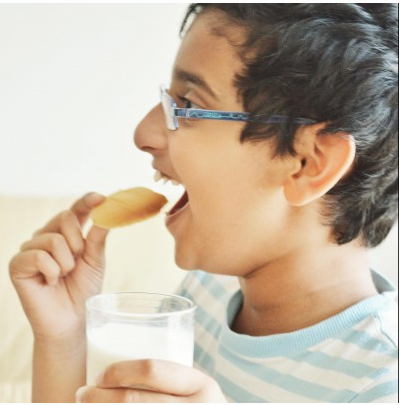 Will b trying this sometime soon!i hav tried milkshake with Horlicks n powdered cardamom blended in frozen milk n it tasted good! 1and 1/2 half glass of milk. Cut d cashnew nuts n bananas add half glass of milk shake it. the cashew nut,is it raw,or we have to cook it/brew it first? 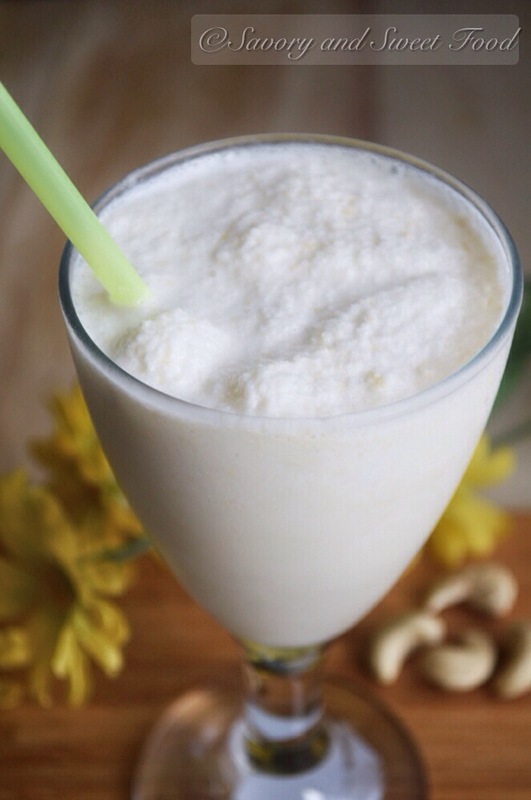 You can use raw cashews Lita.